Join Marica Sarcina for another beautiful OLIT live music session. The music will be played by the charming Hang Pan player Leonardo Romanelli and the amazing fiddle player Faith Heleen Brackenbury. Olit is a kind of slow motion dance that incorporates Pilates, Yoga and Qigong principles. It gives a lovely flowing sensation as we gently move from one position to another. The mind is focused, the core is active and engaged, the muscle are strengthened and stretched. What is the Hang Pan instrument? The Hang Pan is a steel drum played with hands. It is tuned into 432 Hz which is the Universe and Nature Frequency. When played the sound resonates with the body and mind creating a well-being state and a deep relaxation. We start at 2.30, after the Olit session which will last an hour, there will be a lie down meditation to experience the sensation of the whole being. Bring a mat with you. Booking essential – £10 paid in advance. 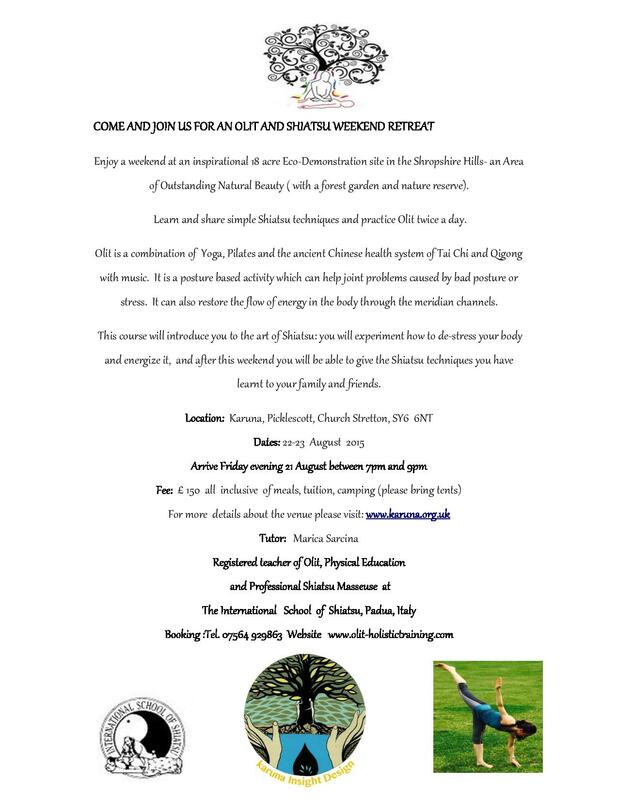 Join us amongst the beautiul Quarry Park in Shrewsbury for a magical Olit session. Marica Sarcina, Leonardo Romanelli and Faith Heleen Brackenbury, will take us on a journey of self – discovery through movements with a lovely fusion of sound of the handpan and violin. We will together move like one! celebrating nature and with the sound of live music we will touch a meditative state of mind. Olit combines the Yoga, Pilates, and Tai Chi principles that they have been developed to create a continuous flow of movements. It gives the possibility to connect with the whole body and to experience a silent state of mind. The Handpan is a steel drum played by hands. It is tuned into 432Hz which is the Universe and Nature Frequency. When played the sound resonates with our body and mind, creating a well – being state and a deep relaxation. 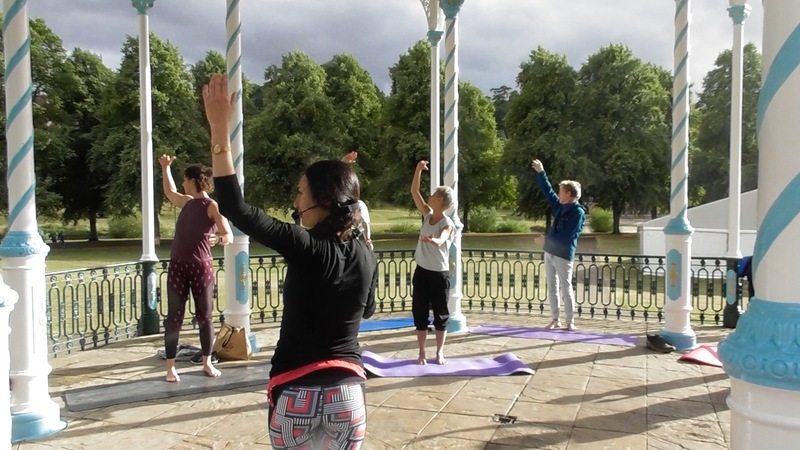 From 6.30 to 6.45pm Marica will lead a lie down meditation to connect with the mother earth and the Universe. Bring a mat and a blanket.